Presently, Hand in Hand intervention for children with autism spectrum disorders is based on the principles of Applied Behaviour Analysis (ABA). Simply put, Behavioral Analysis is the systematic and scientific study of behaviour. Therefore, in general, ABA is the application of the principles of learning to solve socially essential problems that validate meaningful changes in behaviour. Interventions employed in ABA are responsible for the improvement of behaviour in a child, more especially in the treatment for kids with autism. Thus, it is a guarantee that ABA teaches the child new skills and builds functional independence. A significant hallmark of ABA is data collection and analysis to guide clinical decision-making and individualized programs. With attention to children who receive interventions based on the principles of ABA, research shows that the children make gains in IQ, language, academic performance, and adaptive behaviour. In that connection, their outcomes have been significantly better than those children receiving other treatments. It is important to realize that in Australia and USA, ABA is the primary treatment for autism spectrum disorder. That’s why we aim to help you get more out of life and to achieve your goals. That will require an inclusive approach that values diversity, being the reason why we work in close partnership with those who share our goals and ambitions. Our methodology ensures the fulfilment of the above by listening and letting you build your tailored plan. While at home, design a program of early intensive behavioural intervention. You can consider using the form of full-service home therapy or supervision supported with centre visits. Hand in Hand support the child and also the child family to move forward to improve their life. Run and monitor your plan to ensure your child is progressing. Stick to your scheduled hours of supervision and therapy. 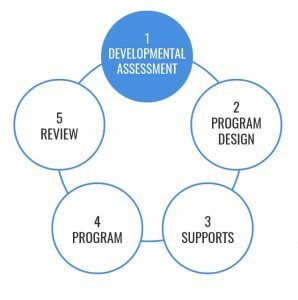 Review your child progress with all the team members evaluating your child. Make it an effort to meet the experts regularly to ensure that evaluations and assessments are coordinated to the needs of your child.